The Garden Watchdog has changed the face of mail-order sales for gardening supplies, plants and seeds. Shoppers are able to read customer service reviews for just about any company in the business. 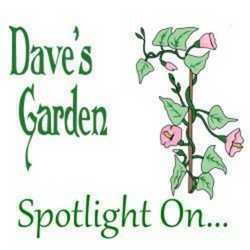 It lists over 7,000 vendors worldwide and gardeners have the ability to choose the best company to fit their needs. Each year, we honor the best in their categories, based on your reviews. We?d like to share the 2012 winners with the community in this Spotlight. The Garden Watchdog Top 5 is an annual award and every year, we place a badge on each recipient's listing. Many of these hard-working vendors are small operations without the volume of sales that large corporations enjoy. They are passionate about their specialties and take a personal interest in their inventory and their customers. A great number of them are family businesses, employing several generations. This Spotlight gives them all a well-deserved pat on the back and we hope you'll enjoy checking out these unsung heroes. There are 133 specialties currently listed in the Garden Watchdog, but we only award Top 5 Badges in the categories where five or vendors have received one or more positive reviews in recent months. If your favorite category didn't receive a badge this year, your reviews and updates can make a huge difference in making sure they are recognized next year. It is very important to let vendors know when you're pleased with your order. Many people only think about warning others about unhappy experiences, but the Garden Watchdog is actually designed to spotlight the hard working vendors who give great customer service day in and day out. Our reviews are consistently over 70% positive. These vendors are from numerous countries and several continents; they represent all that is good in the mail order gardening world. They have a dedication to you, the customer, and sincerely thank everyone who took the time to post in the Garden Watchdog. Reward your favorite vendors; they pay attention to these rankings. We often get requests for copies of the Top 5 badges for their own websites and we are happy to supply them. 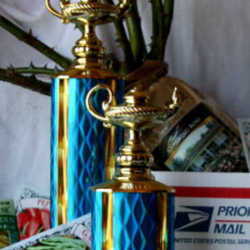 Take a few minutes and visit the winner's websites. They're hard working folks who love what they do. 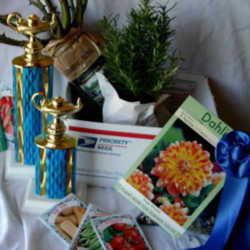 Congratulations to the 2012 Garden Watchdog Top 5 Vendors!